Part 18: Judah. In the last devotion, I spent a bit of time talking about Tamar and how she was truly mistreated by Judah, the fourth son of Jacob and Leah. Prior to that, it was discussed that Judah was among the eleven brothers who ganged up on their younger brother Joseph out of jealousy and annoyance. We will be discussing more about Joseph in the next devotion; however, suffice it to say that we have not seen Judah in a very positive light up to this point. As mentioned above, Judah was the fourth son between Jacob and Leah (who we also talked earlier in this series). While he did not live a perfect life and did not always treat people justly, it would be wrong to only speak of him as if he were some sort of epitome of evil. Judah was, for the most part, a product of his time; however, he was also someone who would go on to become very important in the founding of the Jewish people and he was someone whom God ultimately loved despite his shortcomings. So let us look at this man named Judah and see exactly who he was and how he became the father of God’s anointed. It was Judah, along with the his ten other brothers, that ganged up on their little brother Joseph after he flaunted how favored he was one too many times; however, while his other brothers were going to kill him, it was Judah who convinced them that it would be better to sell him off to a caravan and make a profit off of him. While this act was not completely selfless, it also was not completely heartless either. I would like to believe, and there is no reason not to, that Judah did not wish to see his brother killed no matter how annoying he was. Still, regardless, Judah led his other brothers in doing something that was both egregious and wrong. They sold Joseph to some caravan of nomadic strangers in order to make a profit off of him and rid themselves of him once and for all. Certainly, this is not the course of action that people of God ought to take, yet they took it. Again, in the case of Tamar, Judah acted in a way that is truly unworthy of being one of God’s people. He arranged for his oldest son, Er, to marry Tamar; however, Er was a wicked person who met an untimely death due to his wickedness. So, as was customary in that culture, Tamar was married off to Er’s next of kin (his younger brother, Onan). When Onan died as a result of his wickedness, Tamar was left childless and at the mercy of Judah who sent her back home to her family to await being married to Judah’s youngest son, Shelah. But Judah did not intend to marry his son off to Tamar, who he saw as being under God’s curse. Instead of honoring his promise, and his cultural duty as a father-in-law, he brought shame upon Tamar and, ultimately, upon God; yet, Tamar took matters into her own hands and ended up impregnated by Judah, who was tricked into thinking Tamar was a prostitute. When Judah found out she was pregnant with another person’s child, he was going to have her killed. Nice, right? Judah expected Tamar to remain celebrate for his youngest son whom he refused to allow to marry her. Real smooth. However, when discovers that he was the father of the children she had conceived, he did something that made him truly one of God’s people. He realized that he was the one who was shameful, not Tamar, and he recanted and begged for forgiveness. What’s more, God blessed Tamar and her children, and it is through Tamar that the Jews can trace their ancestry to Judah and, ultimately, to Abraham, Isaac and Jacob. Even more than that, Judah became the tribe from which the kings would rise up out of. So, while human sin is certainly messy and ugly, this story shows us how God’s plan of redemption carries on in spite of it. After all, it is from Judah that one day would come the Anointed One, the Messiah, the King of kings, the Lord of lords, and the Lion of the tribe of Judah. It is from this imperfect man, and his wife Tamar, that God would ultimately bring salvation from sin and death into the world in the form of a perfect, innocent baby boy. It is through the vindication of an oppressed woman and the children she bore a man named Judah, that would come Jesus the Christ, the Word made flesh, the light come into this dark world. God is love and, as such, LOVE WINS. Nothing can stop the redemption plan of God. Lord, I repent of my sins and seek your redemption. Humble me and transform me. Amen. As a lover of animals, I find it hard to utilize the animal imagery that is sometimes found in Scripture. The last devotion that was written was utilizing the image of a prowling, hungry lion waiting to devour it’s prey. While the image itself is not unrealistic, it paints a lopsided view of the animal itself. 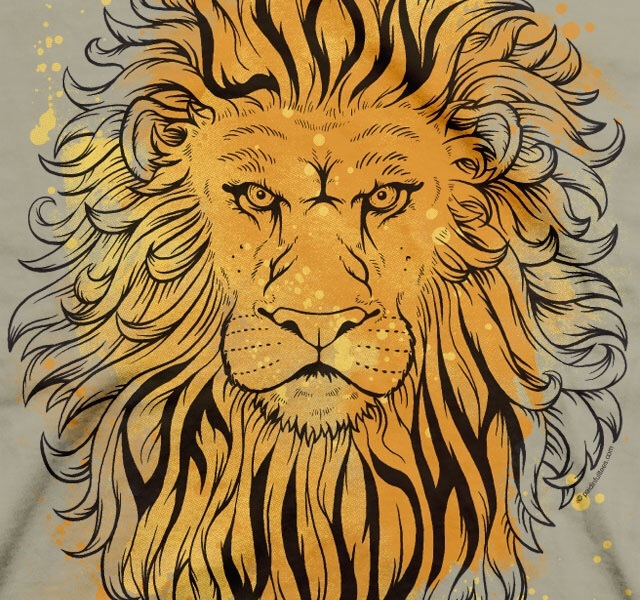 On the one hand, it is not an unrealistic image of a lion. They do tend to get hungry and prowl around looking for food. That’s natural. To be fair and honest, humans do the same thing. On the other hand, to connect a lion to the devil takes away the natural understanding, and superimoses a supernatural one. The lion is now seen to be like the devil, like Satan, prowling around looking to devour and destroy! While 1 Peter 5:8 is a simile, people unfortunately begin to view and judge the animals as being beastly, primal, and even evil. Throughout history, certain animals have been categorically hunted and eliminated in immoral ways, with such passages in the Bible being used as some sort of theological justification. But this is not the fault of the Bible, nor is it the fault of its authors who were simply trying to convey ideas through real-life images. For anyone living in areas that are inhabited by lions, the lion poses a real threat when it gets hungry and is on the prowl looking for food. It’s a threat to people and their livestock alike. Rather, this is the fault of people who take things way to literally and interpret the Bible in irresponsible ways. The Bible itself, actually portrays most, if not all, animals in a very balanced way. Let’s look at the lion. Just as the lion is used to represent the devil on the prowl, so too is the lion being used to represent God. In Isaiah 31:4, God is likened to a lion who will not be scared and will not cower before the Egyptians who were looking to overtake the Kingdom of Judah; rather, God will directly face them and boldy ward them off, just as a lion does against anything that threatens its pride. What’s more, the risen Christ is called the “Lion of the tribe of Judah” who has conquered sin and death and stands ready to reign as King. There are many such references to God as a lion in the Bible and all of those references utilize the stately, the bold, and the protective power of the lion as a description of God. Slight switching directions, but still utilizing the theme of God as the lion, we Christians tend to forget that God is our lion. We forget that we serve a God of great power and we feel that we have to prove to others (and to ourselves) just how powerful our God is. I have seen many Christians set out to be “lions” of the faith in order to guard and protect God. Here’s the problem, God doesn’t need, require, or even want our protection. God does require us to try and prove anything and, more times than not, we not only fail in our attempt to win anyone over, we often do more damage than we do good. The heart of the Gospel is God’s power to forgive, reconcile and restore a broken world back to the paradise it was once created to be. By trying to prove God and/or by trying to protect God, we inadvertently try to cage God in. We can only prove what we fully know; yet, we try and prove the one who is beyond our full comprehension. The reality is that anytime we try to prove God, or try to “protect” God, all we are really doing is proving or protecting our idea or understanding of God…which amounts to a false god. The challenge for us is to be responsible in our interpretation of the Bible, and to be humble in it. It is the authority by which we found our faith; however, it is not the foundation. God is! The challenge for us is to stop trying to cage God, but rather for us to unlock the cages we’ve built so that the true LION, the true God, can come forth, rally the pride, and begin to reign in our hearts once and for all. Lord, help me to stop trying to be right in my understanding, so that I may be open in my heart. Amen. I just got finished participating in an observance of Memorial Day in my community. Prior to the observance that the memorial park, we start off with an ecumenical service at the Presbyterian Church in my community. This year it was my turn to preach and so, in preparation, I began by reflecting on Memorial Day, on those who gave their lives in defense of their country and its interests, as well as on our society. Instantly two Scriptures came to mind. The first was that of Jesus being accused of being an agent of Satan by the religious leaders in his day. That Scripture can be found in Luke 11:14-17. The second Scripture is of the division that came to mind was that of Zechariah 3:1-8, where the people are divided against the new high priest, Joshua (Yeshua in Aramaic and Jesus in Greek). Though this is not the same Jesus, from Nazareth, this Jesus is experiencing people throwing accusations against his leadership as the High Priest. This latter text is the one that is most revealing in terms of what I want to write about today. In that text, God has it out with the people through the voice of Zechariah. “The Lord rebukes you, Adversary,” Zechariah proclaims. “The Lord, who chooses Jerusalem, rebukes you, Adversary!” The fiery prophet’s word must’ve sounded quite harsh to those on either side of the division. There, in the midst of the division, Zechariah denonces the “Adversary”. Now, this English word may not sound too harsh on the surface; however, the English is derived from the Hebrew word “Satan” (והשׂטן, pronounced shaw-tawn). In other words, Zechariah is denouncing and rebuking the work of Satan, the Adversary, the arch-enemy of good, amid the people of Jerusalem. One thing to note here is that Zechariah is pointing out the key function of the Adversary’s role in opposing God. This key function is creating division. While God is trying to establish the divine Kingdom on earth through unity and peace, the Adversary is actively standing in the way of us reaching God’s divine purpose through division and disunity. How terribly tragic that is. Just pause for a moment; just pause, close your eyes, and begin to reflect on the division you see going on in the world around you. Look at the political climate in our country. For each of the political candidates out there, there is a group of people who hate them. What’s more, they hate those who support the candidates they hate. Look at the Church, for the church is terribly divided. Now, we in the church all talk about Christ’s call for unity, about the need to “worship without walls”, and yet we divide the body of Christ over politics, over polity, over doctrine, over gender, gender identity, over human sexuality, over theology, over race, over views on other faiths, and just about every other thing imaginable. Here’s the thing, when we get divided, we are failing to follow God and choosing to follow the Adversary. Let that soak in. When we are divided we are NOT following God or Christ, but are following the Adversary. That is not to say that we cannot disagree on issues. That is human and can be quite healthy in the life of the church. BUT DIVISION IS NOT! Our challenge is to, like Zechariah, rebuke the Adversary and choose to be an agent of unity and peace, rather than an agent of division. If we don’t unite in Christ we are bound to fall, with the Adversary, in division. Lord, protect me from the Adversary and keep me far from the sin of division. Make me an agent of unity and of peace and of love. Amen.